I decided to light my room before I began shattering windows and animating the final. I really like the light coming through the window, and the bay window itself. 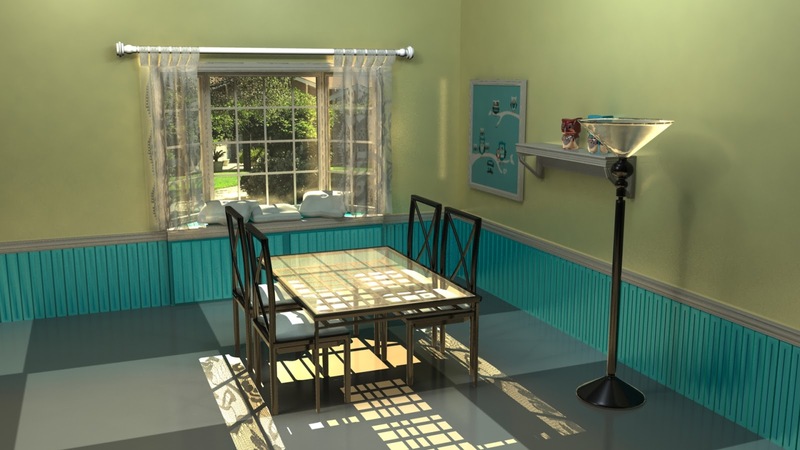 I'm not a big fan of the lamp or the floor, but I don't think these will be able to be seen in the final render. Alright so getting close to having one final finished, now only a few to go so keep a look out.